We’ve seen a ton of photos of the upcoming Star Wars AT-AT, but it was always hard to judge how large this thing truly was. Well, wonder no more. 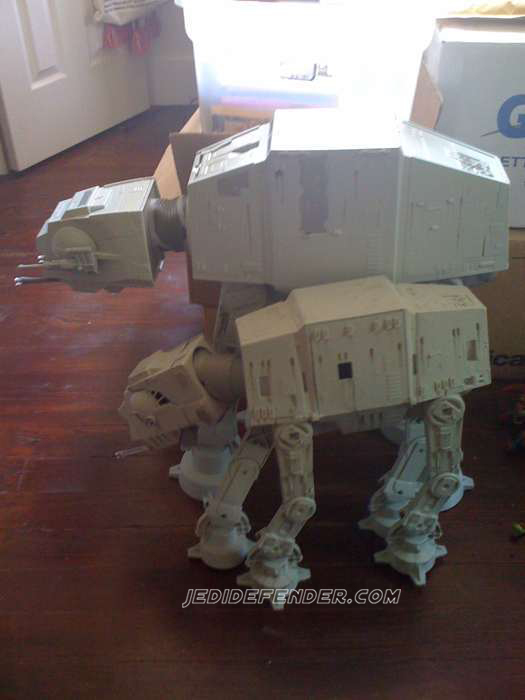 Jedi Defender has posted a side-by-side images showing the old AT-AT with the new one. The older one is in the front. I caught this over at rebelscum yestarday but couldnt get the image to load. This thing is huge. Is it really necessary to make this thing so big? I think it's awesome that it's this large. Much closer to scale than I would have ever imagined. I don't buy Star Wars stuff at all and I am honestly likely going to buy this thing. The price is just too tempting. Holy @#$@, that thing is huge! 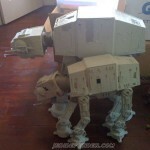 I agree with Joe, it looks like it will be much closer to scale with a "real" AT-AT. But now I'm really curious to see how the new Snowspeeder stacks up to these two, or if I will need to dig out my Action Fleet or SWXO versions. Fingers crossed the AT-AT retails for $50. I believe the retail is going to be $100. This thing is huge. Is it really necessary to make this thing so big? You're kidding, right? Having the space for it might become an issue, but I don't care. I want at least two. $100. I'll gladly spend that to get this guy. But you never know. I bought the Clone Wars AT-TE on sale for $60. I look at it as a space issue more than anything else; not knowing where to store or even display it. I hear you. I already have that problem but I can't stop adding to my collection. Oh well. I hope one day to have a whole room dedicated to my toy collection. price-wise Id say its in the $100 region just looking at the falcon.